The early years, birth to eight years old, are a time of intense discovery. Play is the vital work of childhood as young children learn by doing. We believe the more opportunities children have for hands on, sensory-based experiences, the more they learn about their world. Our multi-age approach allows children to work with, learn from, and support each other. Children learn all the time and are intrinsically motivated to do so. Our teachers offer respectful engagement, intentional discovery, and purposeful experiences to help children with the concepts that form the basis of all learning. We focus on the individual needs of each student help them develop socially, emotionally, intellectually, and physically so that every child will gain a sense of self and life-long confidence. Families are an integral part of the experience at CSWS. We work together to provide opportunities for connection and learning. Social and educational offerings are provided throughout the year and parents are actively engaged in many aspects of the school's operations. At CSWS we are committed to racial equity and anti-bias work. We aim for our program to work to give children the tools to advocate for themselves, others, and to respect and celebrate differences. Together with families we work on understanding and combating implicit biases to try to break cycles of structural and systemic racism. 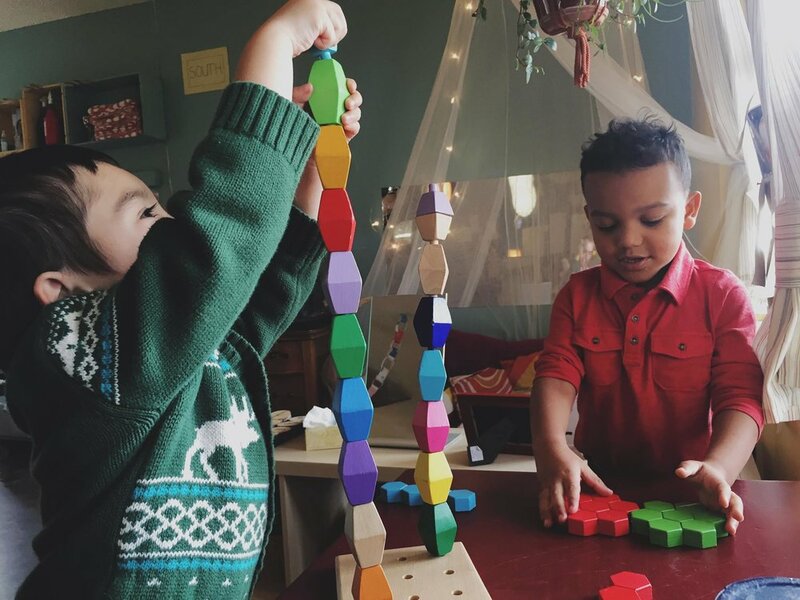 Building a community where all children are honored and respected as naturally capable, curious, and creative beings. The mission of CSWS is to create a space in which our community of children, teachers and families can be part of a cooperative educational team. Collaboratively, we will work to inspire and support curiosity, confidence, empathy, resiliency, and the social emotional well-being of every child. Our curriculum is based on the principles of respect, responsibility and community through play, exploration and discovery. We are committed to building and maintaining a responsive environment that is dedicated to inclusivity, equity and strong relationships.